So it's only the 2nd week of the 2015 Love Your Body Challenge and I have been slacking the last couple of days. I can feel some extra weight around my stomach that wasn't there before Christmas, so I have decided to give the 5 Day Slim Down another go to try and shift it fast. Got to stop the slacking - my wedding is coming up in June! Speaking of my wedding, the invitations have now been sent out and the tin cans have started to be painted for the table decorations. 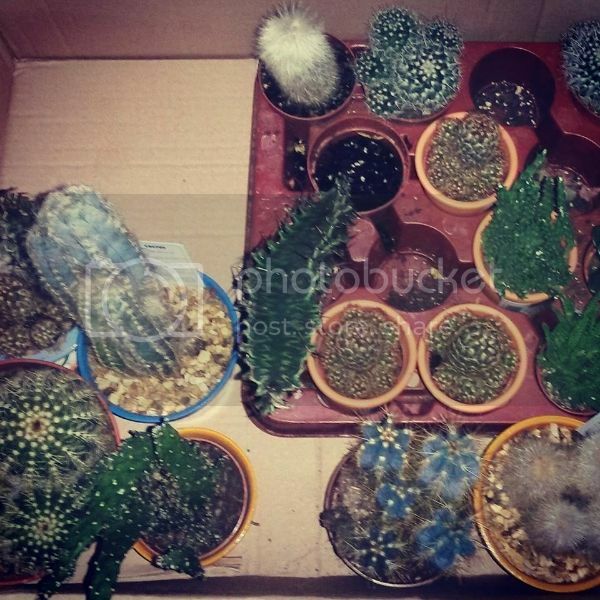 We brought the cacti a couple of weeks ago, ready to repot into the tin cans. This Sunday we have our menu tasting at the venue. I can't wait! We have chosen beef quesadillas as a starter, and chicken mole as a main. I will let you know how that goes! I am also going to enroll on a Saturday workshop at my local college to learn how to make wedding bouquets, buttons holes and corsages, as we will be making all our floral stuff ourselves. Then I have to remember how to do it and teach my bridesmaids....!